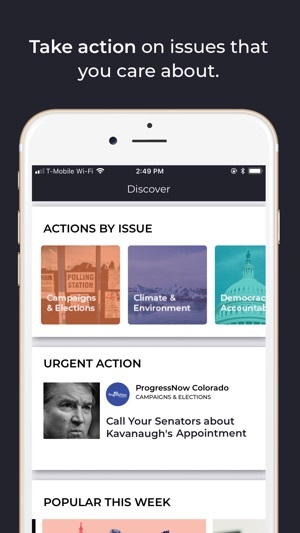 Beacon is your one-stop shop to take action and have an ​impact on the issues that matter most to you. 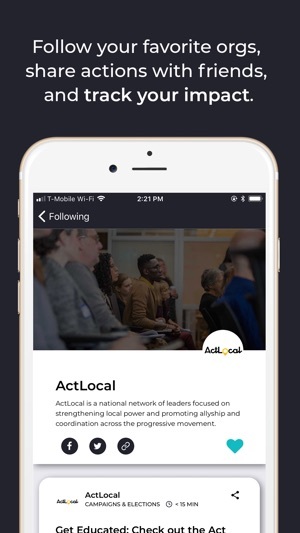 Sign up with the issues you most care about, your skills and location, and we'll give you a personalized feed of actions pulled from local and national organizations and campaigns. Your actions will evolve over time based on what moves you. 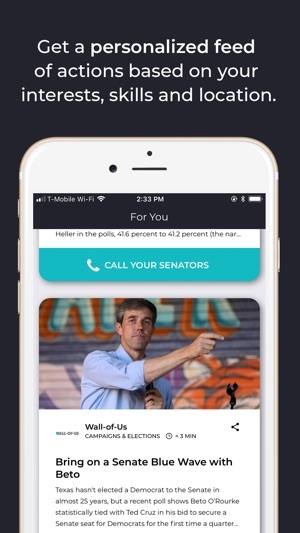 You can take action right in the app, share opportunities with friends, and follow your favorite organizations, campaigns, and people. Beacon helps you track your impact and find more ways to improve your community.